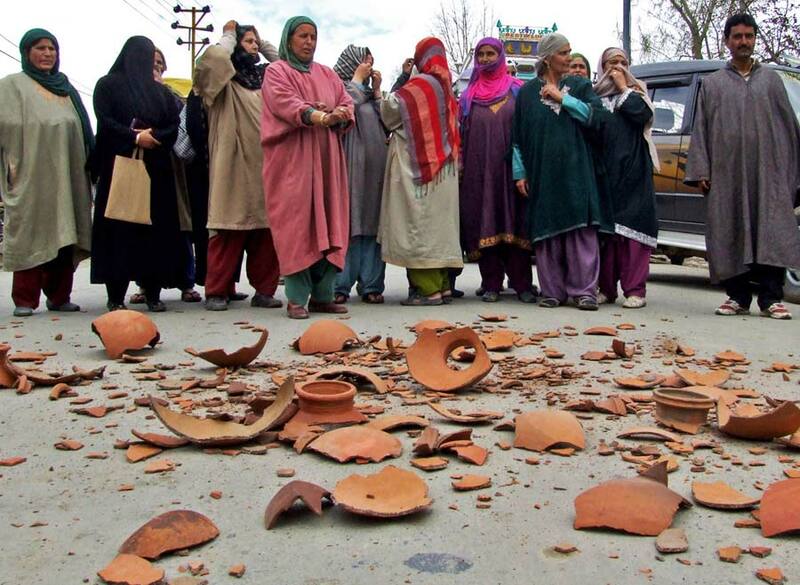 In restive Sopore town, tempers skyrocketed Wednesday when women came out and started dashing earthen pots on road in protest against water scarcity in the town. 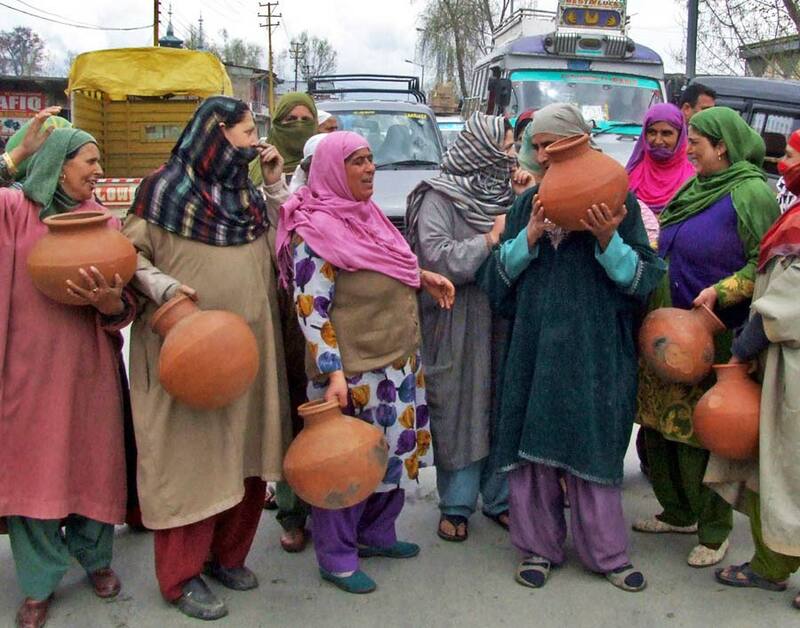 Water scarcity hit the town after Shrakwara water pipeline supplying water to Sangrama and Sopore was allegedly blocked at Sangrama a month ago. 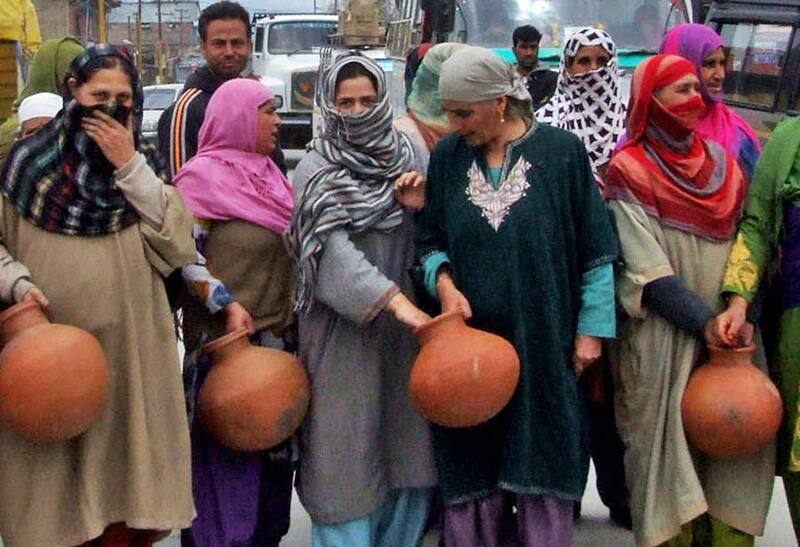 The protesters alleged that the henchmen of MLA Sangrama, Syed Basharat Bukhari blocked the water supply at Sangrama a month ago and thus triggered water crisis in nearby Sopore town. 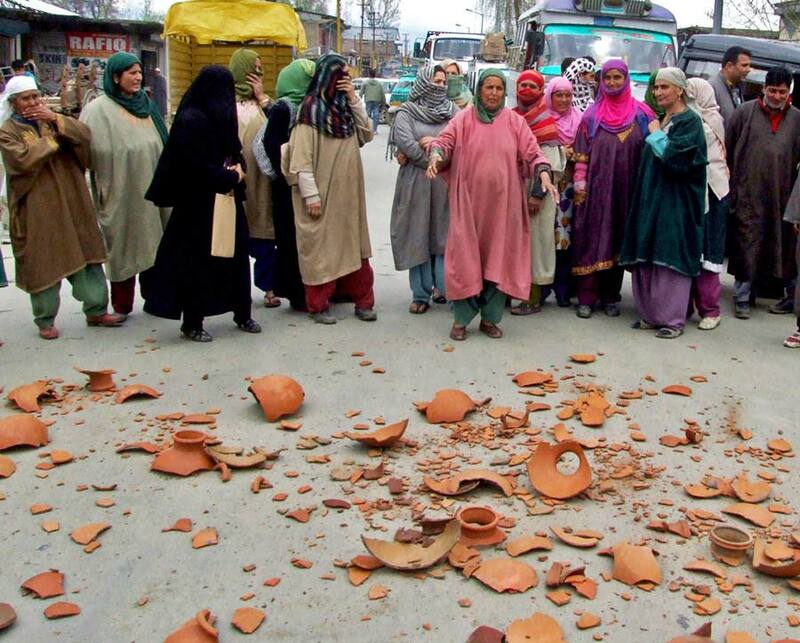 On Wednesday, protesters, mainly women turned out at Chanakhana road along with pots and started breaking them to lodge protest against MLA Sangrama, MLA Sopore Haji Abdul Rashid and PHE department. 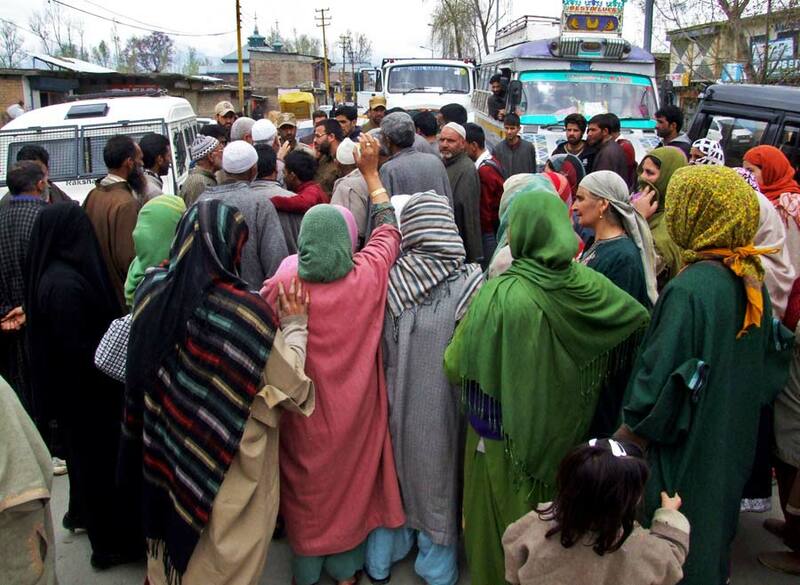 “Though we understand that henchmen of Bukhari won’t be touched by law,” a protestor told Kashmir Life, “But we rue inactive stand of our own MLA, who seems both toothless and useless.” The protestors said that MLA Sopore is only focussing on grassroots. Significantly, 70 per cent of people in Sopore town are dependent on 40-year-old Shrakwara water scheme, while rest 30 per cent avail their drinking water from Watlab Water Scheme.